I took this on the river yesterday. Howard was working, and I was reading something called One Shot. But imagine being J. K. Rowling. Christ. I would love to just once, ONCE come upon someone reading one of my books. Nevermind walking around and seeing everyone reading it. 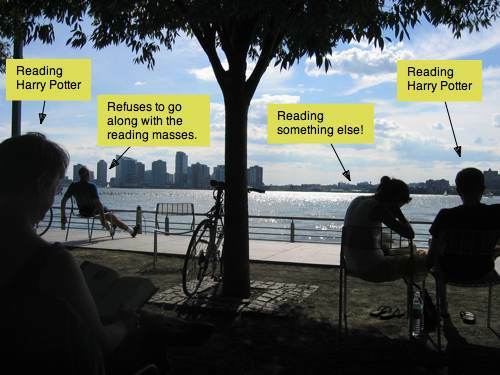 People all up and down the Hudson River yesterday were reading the new Harry Potter.